If you know anything at all about food in Halifax, it's that when you put those words together, they should equal "donair." But the east coast city of 370,000-plus people has been building on its reputation as a hotbed of fresh produce and incredible seafood in recent years, and there are plenty of new restaurants eager to take advantage of the opportunity. "Right now, the restaurant scene is as exciting as I’ve ever seen it," says Liz Feltham, cookbook author and former food critic at the Coast, who retired in 2008. Feltham points to a young generation of chefs who care about their ingredients, and are focused on presenting simple, clean plates full of flavour, rather than "trick and tarted up stuff." She attributes much of the bounty to the city's two downtown markets, which offer up produce from the Annapolis Valley, as well as newer local livestock options, like sheep, beef and pork. The diverse population doesn't hurt either. "For a town this size, we have had an amazing array of ethnic restaurants, influenced by Italians, Greeks, Lebanese — we had at one point on one street two Ethiopian restaurants," says Feltham. And as for the beloved donair, that pita sandwich of spiced and browned lamb or beef, hung around a spit and served souvlaki style with donair sauce (evaporated milk with lemon juice), the argument of who makes the best one is defining for Haligonians. Feltham's pick is King of Donair, which claims to have introduced the sandwich to Halifax, though she's quick to state that most pizza places make great ones as well. Where: 1477 Lower Water St.
Why: Owned by Maurizio and Stephanie Bertossi, who run some of the best restaurants in town, this most embodies the feel of an Italian trattoria, says Liz Feltham, former food critic for the Coast. 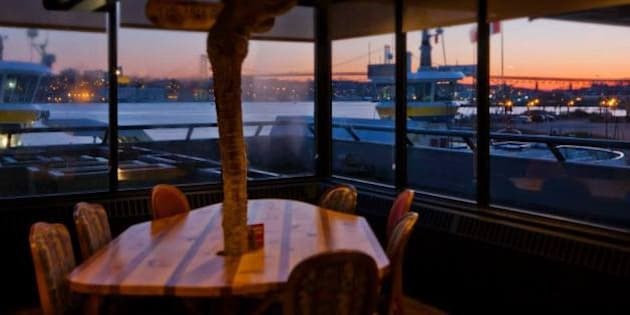 Why: "This is the best place to go right now for dress-up dining in Halifax," says Feltham. She points to the polished service and the extra added touch of a little loaf of banana bread to take home that take it over the top. Why: In the north end of the city, where many young professionals are congregating, Feltham says this spot has traditional plates (like burgers and frites, quiche and sausage) at decent prices. Why: Complete with a wood-fired oven from Italy, this spot offers up both classics and inventive pizzas. Feltham loves it for its consistency, value, atmosphere and service. Why: Also in the city's north end, this spot's name stands for "eat drink nourish always," and is owned by Jenna Mooers, daughter of Halifax staple Jane Wright, who ran beloved Jane's on the Common until 2012 (she's now transformed it into a catering business). Dishes like beef tartare, braised lamb leg and bouillabaisse are just part of the extensive menu. Why: "This is less a restaurant and more a lifestyle," says Feltham. "They have a whole appreciation of environment and green living." Menu options include everything from Digby scallops wrapped in Meadowbrook bacon to nachos to an extensive list of salads. Why: This was one of the restaurants at the forefront of the local food scene, notes Feltham. Dishes like jumbo Cape Breton snow crab ravioli with pork belly, pâté of Quebec foie gras and coldwater shrimp-crusted Atlantic salmon all showcase stunning, nearby ingredients. Why: Though the restaurant is located in the Haliburton Halifax Hotel, "it's come up with an identity of its own," notes Feltham. Dishes include ingredients like duck magret, striped bass and bison tenderloin, demonstrating its dedication to local farmers, foragers and fishermen. Where: 5883 Spring Garden Rd. Why: As the restaurant itself puts it, "You deserve to eat well!" Simple, delicious dishes like lobster mac and cheese, crab cakes and beef tenderloin allow the ingredients to stand out. Why: A true hotel restaurant at the Prince George Hotel, Feltham notes Gio has had a few very inventive chefs in a row, and hasn't faltered in producing amazing menus year after year. It's also a bit of a power place — "where you find the city's movers and shakers at lunch," she notes with a laugh. Why: "It's Greek food done exceptionally well," says Feltham. Dishes include stuffed chicken "koto yemista" and salmon lemonato, as well as their popular platters. Why: "We have a number of Thai restaurants, but when I taste the food here, it doesn't feel like it has been dumbed down for the North American palate," says Feltham. "There's full-on flavour." Why: "I've worked under an Indian chef in town, and have been exposed to a lot of Indian food," says Feltham. "This is the place Indians go." Like ChaBaa Thai, she notes the authenticity of the flavours that haven't been compromised at all. Why: "This is the kind of place when you go in there, women serve the food and men bring the beer and that is never going to change," says Feltham with a laugh. "For ribs and steak, it's cheap and you cannot beat it. Day or night, it's packed and it really lives up to its reputation." Where: Behind Jungle Jims, 8 Oland Cr. Why: "There are tons of fish and chips spots all over Halifax, and I've tried most of them," says Feltham. "This is my favourite, and it has been for a while. The reason i like it so much is because the owner, Tammy, is a person who is incredibly customer service-oriented,. dedicated to keeping things fresh, consistent and cheap."